On October 14th, Michael Self drove his No. 9 Sunrise Ford Ford Fusion to victory at All American Speedway in Roseville, California, competing in the NASCAR K&N Pro Series West. The victory was Self’s second win in a row, and eighth in his NKNPSW career. Picked up win number 2, and second win in a row this weekend at @allamericanspeedway! Shoutout to all the guys at Sunrise Ford Racing for a dominant car that was fastest in practice, qualified on pole, and led 137 of 150 laps. 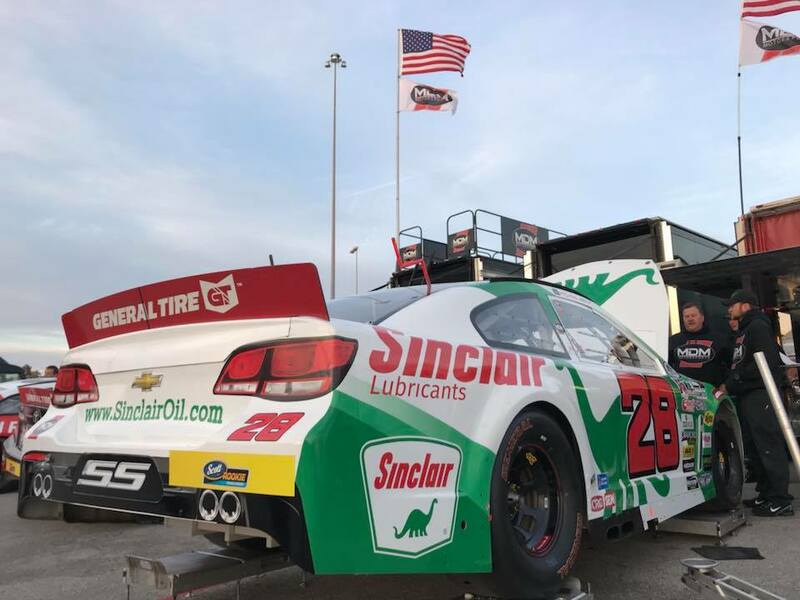 Hoping to carry the momentum to @kansasspeedway this weekend for my final ARCA start of the year in the @sinclairoilcorp No. 28! Also shoutout to Diego Alvarado for the video, which is where I took this screenshot. Six days later, Self piloted his No. 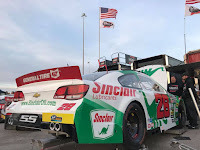 28 Sinclair Oil Chevrolet for the final time this season, competing in the ARCA Racing Series (ARS) season finale at Kansas Speedway with MDM Motorsports. 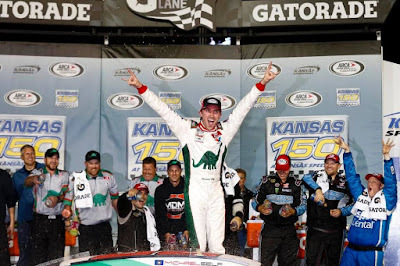 Michael had only one prior start at Kansas Speedway in the ARS at last year’s event; in which he finished third. In keeping with his forecast and in an impressive manner, Self fought for the lead in the last restart of the race. He was not to be denied as he made himself the meat in the middle of a five-wide sandwich and barely squeezed through as the leader off turn two. 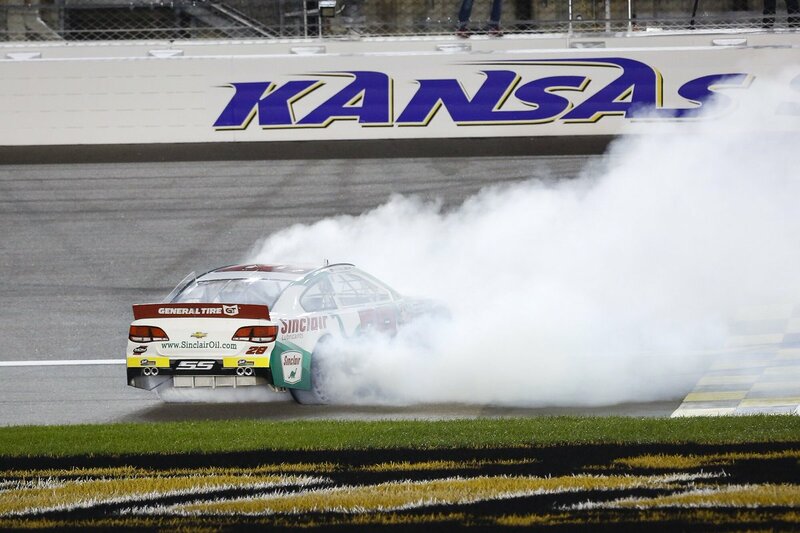 From there the Salt Lake City, Utah driver held off a spirited charge from Ty Majeski to win the Kansas 150 Friday night, his career-first ARCA Racing Series presented by Menards victory. "I knew it was going to get hairy…I just kept my foot in it," said Self. "Once we got out in clean air, it was all about hitting your marks." Self had some help from Kyle Larson's spotter, Derek Kneeland, when it came to hitting those marks. "Once I got the lead, Derek came on the radio and said, 'listen to me. I want you to do exactly what I tell you to do.' I did exactly what he said and we were able to pull away from the 99. It's amazing how much a good spotter can help." In the end Self, in the No. 28 Sinclair Oil Chevrolet, pulled away, crossing under the checkered flag 10 lengths in front of Majeski, who finished a career-best second in the No. 99 Treeo's Ford. Michael Self’s MDM Motorsports’ teammates Sheldon Creed, driving the No. 12 United Rentals/A.M. Ortega Construction Toyota and Zane Smith, driving the No. 41 ICON Vehicle Dynamics Toyota finished nineteenth and third correspondingly. About Michael Self: A native of Salt Lake City, Utah, Self is an accomplished road racer, four-time Utah State Karting champion, and six-time NASCAR K&N Pro Series winner. 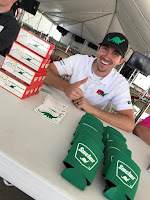 Self has made four starts in NASCAR XFINITY Series competition, driving for JD Motorsports. He scored a career-best 11th-place finish at Wisconsin’s Road America in 2015. In 2016, he helped guide Justin Haley to the NKNPSE championship from the spotter’s stand and as a driver’s coach. 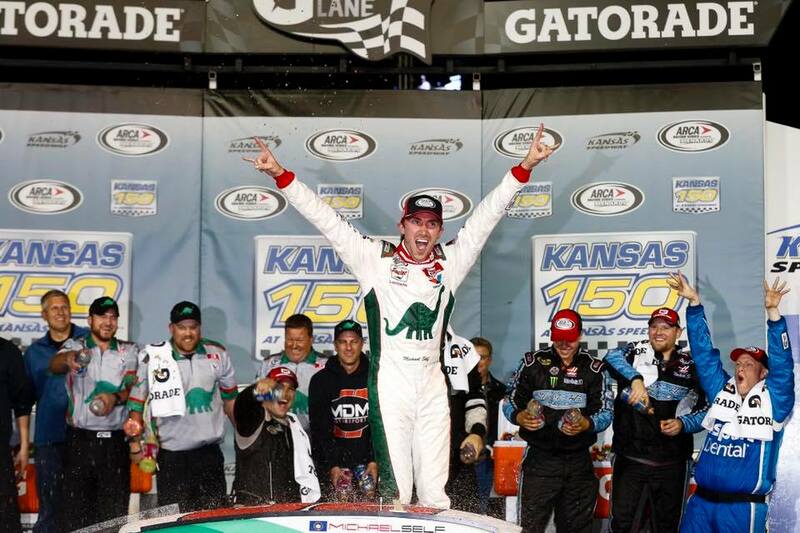 He returned to driving in the October 2016 ARCA Racing Series Presented by Menards event at Kansas Speedway, where he earned a third-place finish. For live updates and breaking news, follow Self on Facebook, Twitter and Instagram. About MDM Motorsports: MDM Motorsports is a NASCAR Camping World Truck Series, ARCA Racing Series Presented by Menards, and NASCAR K&N Pro Series team based out of Mooresville, N.C. For more information about the team visit MDMMotorsports.com, like the team on Facebook by searching MDM Motorsports or follow them on Twitter, @MDMMotorsports .